St. George’s Chapel at Windsor Castle, site of the royal wedding. Even if you’ve been unable to ignore this exhaustively discussed news, you might be feeling a little confused about what exactly it entails, since you most likely have never had a royal wedding yourself. Here’s a nonroyal guide. Q. So, who did you say is getting married? A. Rachel Meghan Markle, a.k.a. Meghan Markle, an American actress best known for playing Rachel Zane in the long-running legal-intrigue drama “Suits,” is marrying Prince Henry Charles Albert David of Wales, a.k.a. Prince Harry, a British aristocrat best known for being a son of Prince Charles. Q. Where will it happen? A. At St. George’s Chapel in Windsor Castle. Q. Is that near Buckingham Palace? A. Nope. Buckingham Palace is in London. Windsor Castle is in Windsor, a picturesque old town some 20 miles west of London. 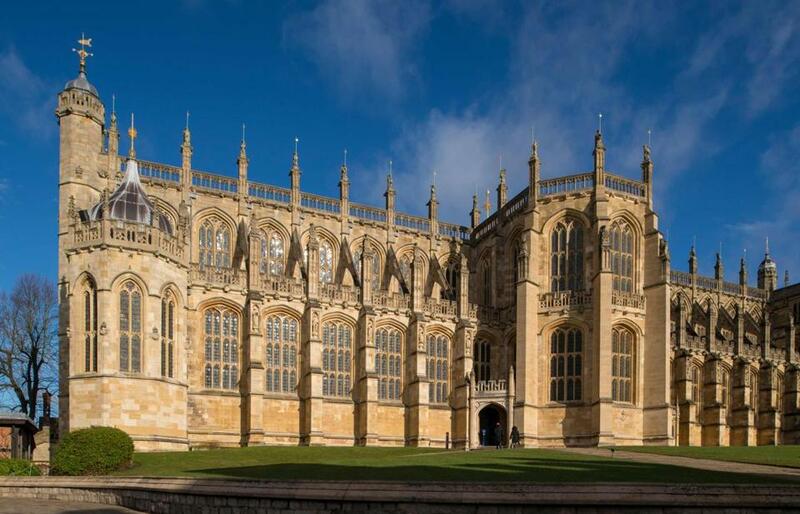 Windsor is also known for its proximity to Eton College, the school Harry and his brother, William, attended. Q. Were William and Kate Middleton married at Buckingham Palace? A. Nope again. On April 29, 2011, William and Kate (which is what the British papers call her, even though her official name is Catherine, duchess of Cambridge) were married at Westminster Abbey, a church that is in London and a 15-minute walk from Buckingham Palace. A. Sadly, you cannot, unless you’re among the 600 or so personal guests who got invitations to sit in the chapel, or among the several thousand additional people who have been invited to stand on the grounds of Windsor Castle to watch the wedding party enter and leave. That group includes members of the royal household, local schoolchildren, and “regular” people who work for charities, community organizations, and the like. Q. How can I watch from home? A. The wedding will be televised on all major networks. Q. Why should I care about this wedding? A. Because Harry — being unconstrained by the responsibilities that burden William, the future king — has recovered from some earlier lapses in judgment to bring a delightfully racy and joyously improvisational approach to his royal life. And because Meghan is so different from most royal brides-to-be: She is American, biracial (her mother is African-American, and her father is white), divorced, and 36, which makes her three years older than her Harry. Q. How significant is the fact that Meghan is biracial? Q. Is President Donald Trump invited to the wedding? A. Nope! “It has been decided that an official list of political leaders — both UK and international — is not required for Prince Harry and Markle’s wedding,” Kensington Palace said in a statement. Q. What about Harry’s pal Barack Obama? A. No, not even him (or Michelle). See above. Q. Did Queen Elizabeth approve of the match? Q. OK, so tell me about Meghan’s engagement ring. Q. Where do Harry and Meghan currently live? A. They live in Nottingham Cottage, a (relatively) modest two-bedroom home on the grounds of Kensington Palace, in London. Kensington Palace is a royal residence that is currently home to not just Harry and Meghan, but William, Kate, and their children, as well as several other members of the royal family. Harry’s grandmother, Queen Elizabeth, lives in regal splendor in the much larger and less crowded Buckingham Palace. Q. Who will design Meghan’s wedding dress? A. The current favorite, at least according to the gossipy fashion industry, is the brand Ralph & Russo. Meghan chose a dress made by the London couture house for her official engagement portraits, and the brand is known for its over-the-top wedding dresses. Erdem Moralioglu, a Canadian-Turkish designer, is another contender. Erdem has an A-list clientele, recently produced a sold-out H&M collaboration and already counts Meghan as an admirer. In what might not be a coincidence, his most recent show, at London Fashion Week in February, was inspired by the tale of an American actress who marries an aristocrat. Q. Will there be cake? Q. And what about the flowers? A. The couple have chosen white garden roses, peonies, and foxgloves for all their floral needs. The peonies were no surprise: Meghan has previously said on social media that peonies make her “endlessly happy.” White roses, meanwhile, were a favorite flower of Princess Diana. A. “Prince Harry and Ms. Markle have taken a great deal of interest and care in choosing the music,” according to Kensington Palace. The selections will include well-known hymns and choral works performed by the St. George’s Chapel choir, plus performances by the opera soprano Elin Manahan Thomas, the trumpeter David Blackadder, and the cellist Sheku Kanneh-Mason, 19, a rising star who is the first black winner of the prestigious BBC Young Musician of the Year award. A Christian gospel group, the Kingdom Choir, will also be at the ceremony to raise the 17th-century roof. This has made Royal Wedding Twitter get predictably excited about the possibility of a “Love Actually” moment. Q. Who is Harry’s best man? A. William. And Harry was William’s best man. Q. Will Meghan have a maid of honor? A. No. But there will be page boys and “bridesmaids,” which in this case refers to young girls, not grown women. Royal weddings rarely feature adult bridesmaids, and when Pippa Middleton fulfilled the role of maid of honor at Kate and William’s wedding, it was more of an exception than a rule. Q. Will there be a reception? A. After the wedding, the queen will host all guests for a lunchtime reception at St. George’s Hall. Q. When does the real party start? A. Later that evening, Harry’s dad, Prince Charles, is hosting around 200 guests at the nearby Frogmore House, a country home owned by the royal family. Q. Who is paying for all of this? A. The royal family is paying for the wedding itself — the service, the flowers, the music, and the reception. Meghan will pay for her dress. The British public will pay for security. William and Kate’s wedding reportedly cost $34 million, of which $32 million went to security — and was paid for by British taxpayers. Q. Where is the honeymoon? A. Namibia, maybe! The couple is not advertising their plans, but Travel and Leisure reports that “a source has confirmed” the couple will vacation in the southern African nation after the wedding. Q. What do I get the royal who has everything? Q. What sort of things has Meghan had to do in preparation for marrying into the royal family? A. Meghan, who was already a Protestant, has opted to [or had to] convert to Anglicanism, the official religion in England, before marrying Harry. And she will become a British citizen — which will involve taking a torturous citizenship test. Q. Is Meghan giving up her career as an actress? Q. What will she do? What do royals actually do day to day? A. In many ways, young royals are just like us: They drive cars, go to supermarkets, drop children off at school and work out at the gym. But while some have nonroyal regular-person jobs — Princesses Beatrice and Eugenie, for instance — it’s unlikely that Meghan will take on a 9-to-5 job after her marriage. There will be numerous public engagements to attend. Q. What will Harry and Meghan’s titles be? A. We don’t know yet. Harry is a prince but will undoubtedly receive some fancy new title when he marries. That title will automatically be bestowed on Meghan, too, just as Kate Middleton became the duchess of Cambridge when William became duke. Money in Britain at the moment says that the pair will become the duke and duchess of Sussex, a title that has not been used in the royal family since 1843. And Meghan will become an HRH, which, in her case, stands for Her Royal Highness. Q. Who are Meghan’s parents? A. Her mother, Doria Loyce Ragland, is a social worker and yoga instructor who lives in California, where Meghan grew up. Her father, Thomas Markle, is a lighting director who worked in California for years but now lives in Mexico. They divorced in 1988. Ragland was slated to accompany her daughter on the ride to St. George’s Chapel. Thomas Markle was by some accounts prepared to walk his daughter down the aisle, but by other reports would not, owing to disclosures of his embarrassing dealings with paparazzi and concerns about his health after he suffered a heart attack earlier in the month. Q. Do Harry and Meghan want kids? Q. Will the ceremony include any tributes to Princess Diana? A. Yes. Diana’s sister Lady Jane Fellowes will perform a reading as part of the ceremony. Per an official statement, Harry is “keen to involve his mother’s family in his wedding,” and he and Meghan “both feel honoured that Lady Jane will be representing her family and helping to celebrate the memory of the late Princess on the wedding day.” Diana’s brother Charles and her sister Sarah (who dated Prince Charles before Diana) will also be in attendance as guests. Q. Will any of the queen’s beloved corgis attend?